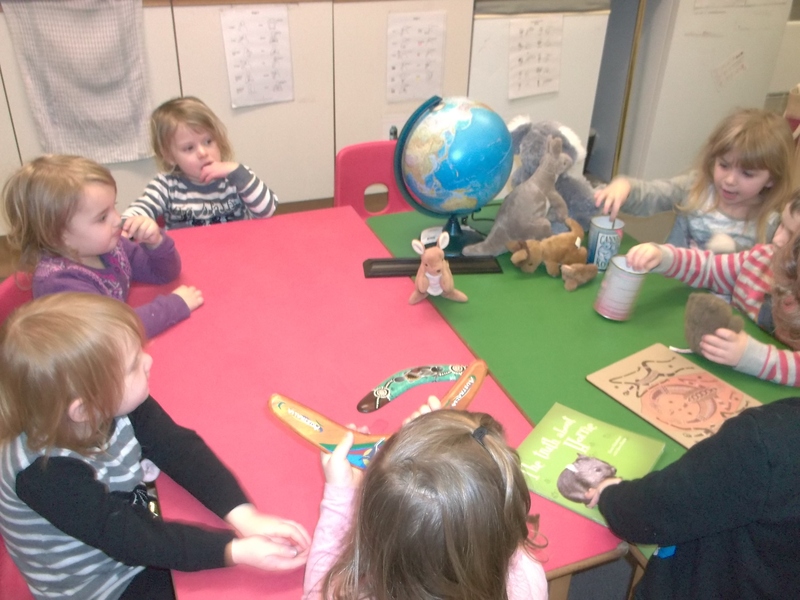 We looked at a globe to see where in the world Australia is. 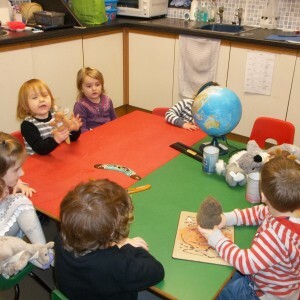 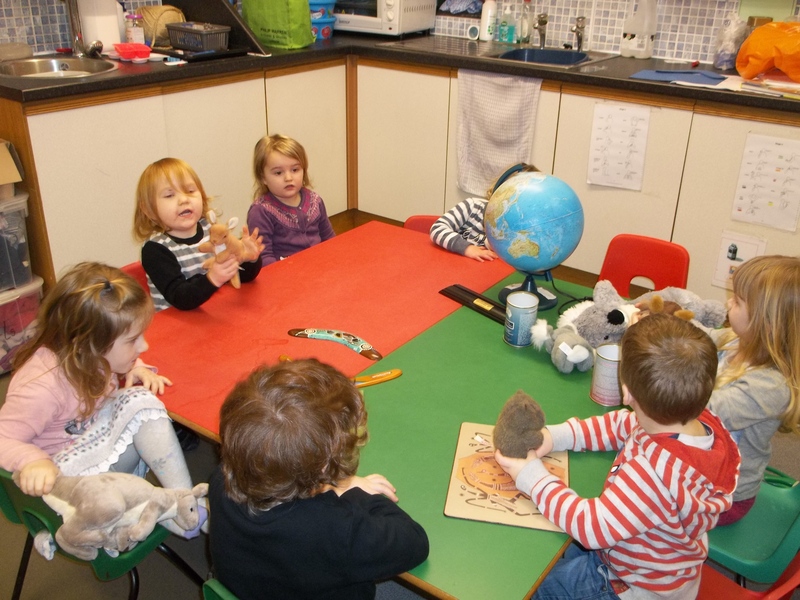 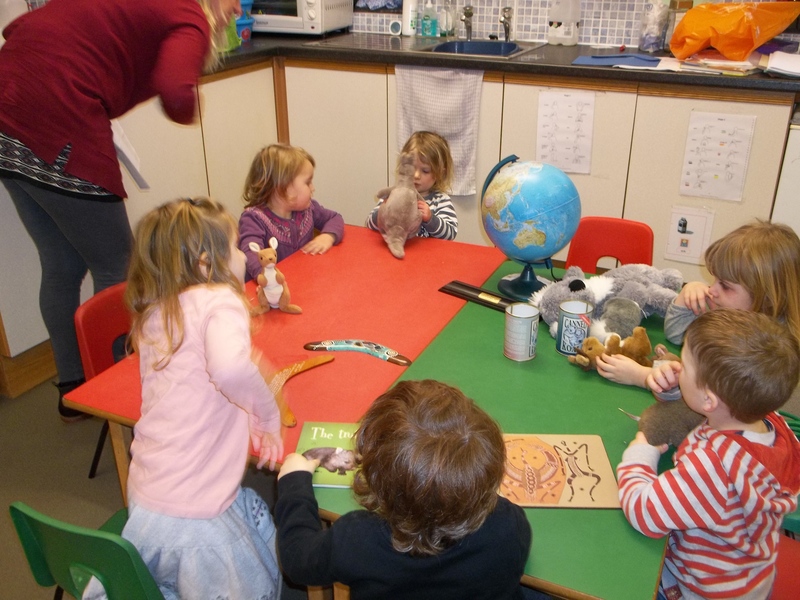 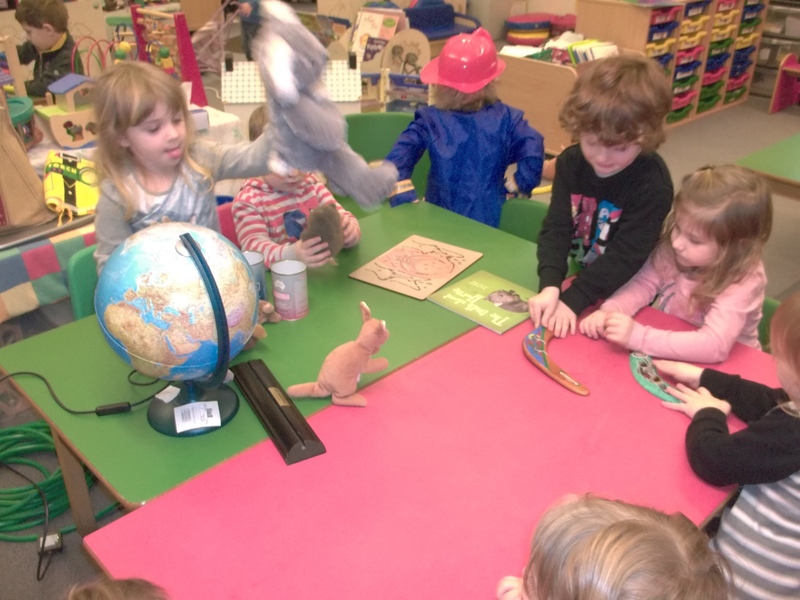 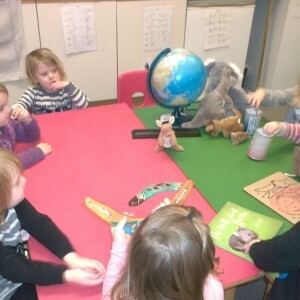 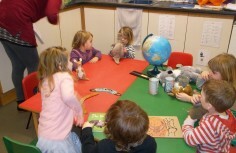 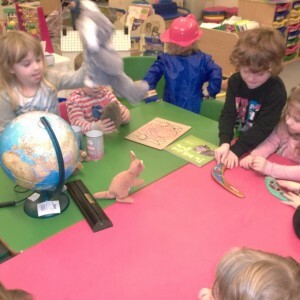 We learnt about the animals that live in Australia: kangaroos, koala bears and wombats! 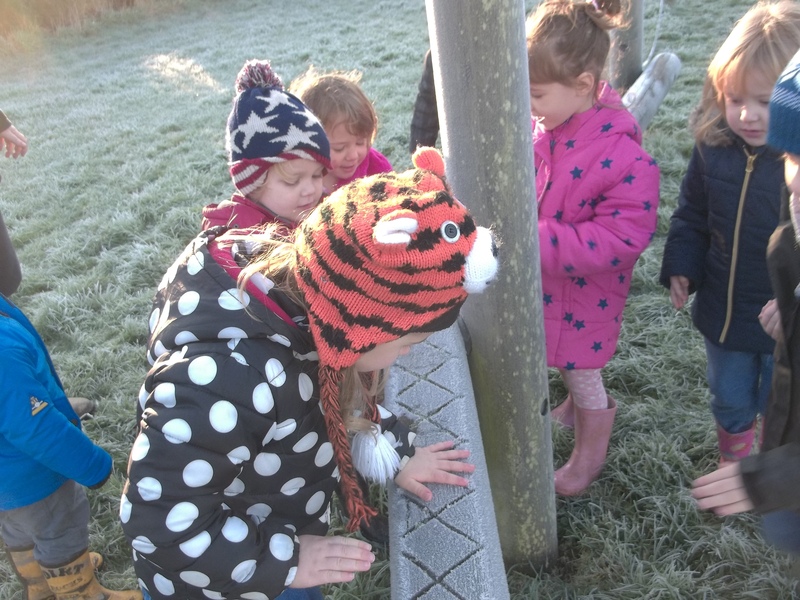 We looked at some wooden boomerangs from Australia and then decorated our own boomerangs with coloured dots, just like Aboriginal patterns. 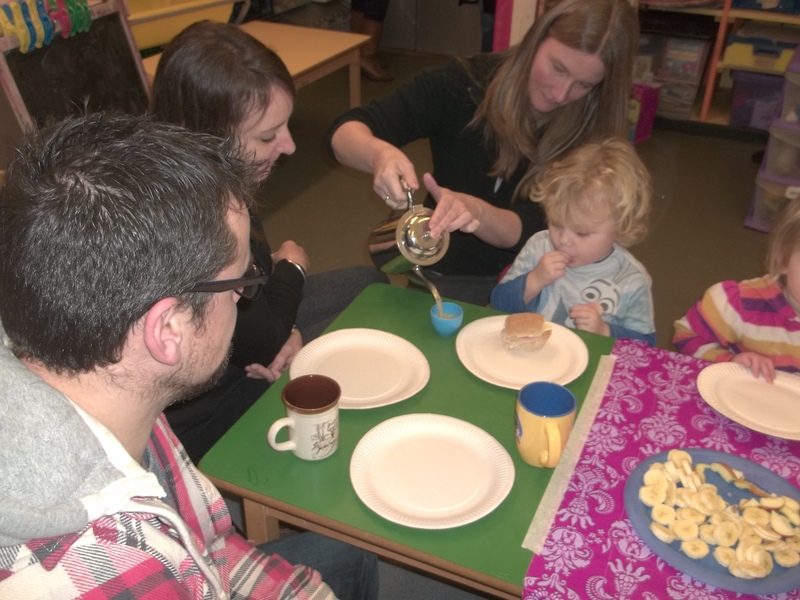 Our Nursery Rhyme this week is “I’m a Little Teapot” so we decided to have our own little tea party. 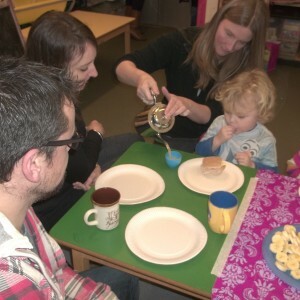 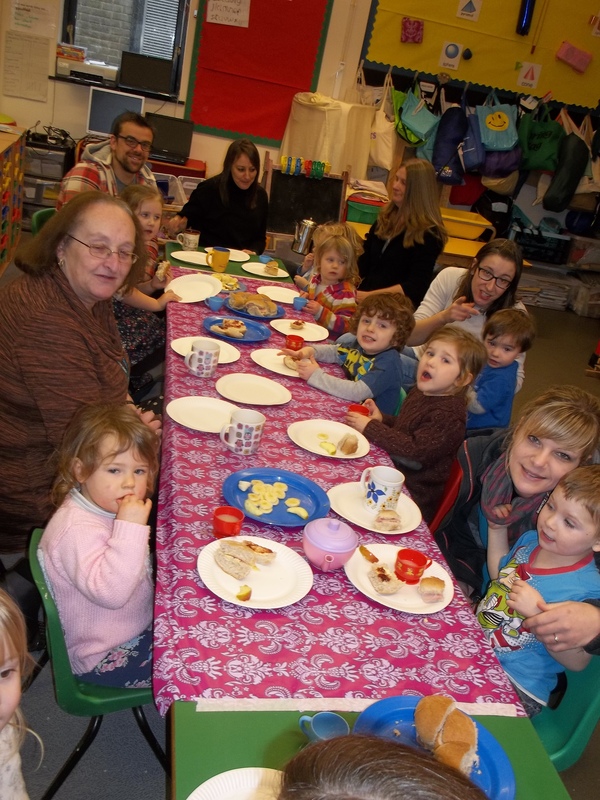 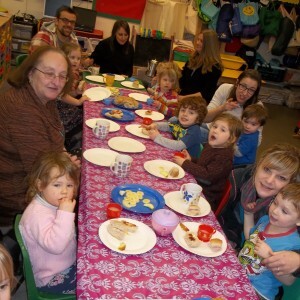 We invited people who are special to us and they joined us for sandwiches, fruit, cakes and drinks. 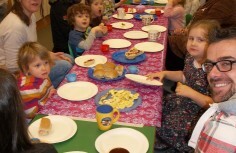 We made and decorated the cakes ourselves. 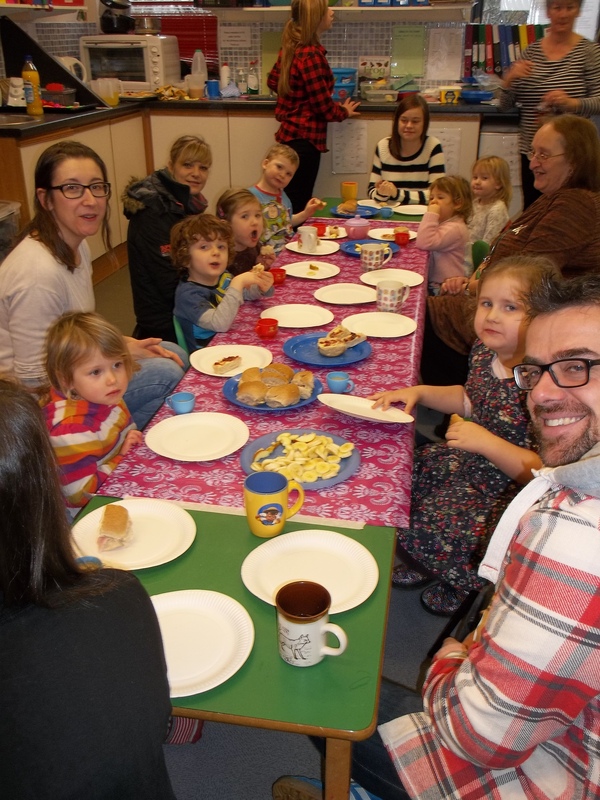 Everyone enjoyed the tea party and it was great to see our parents and special friends. 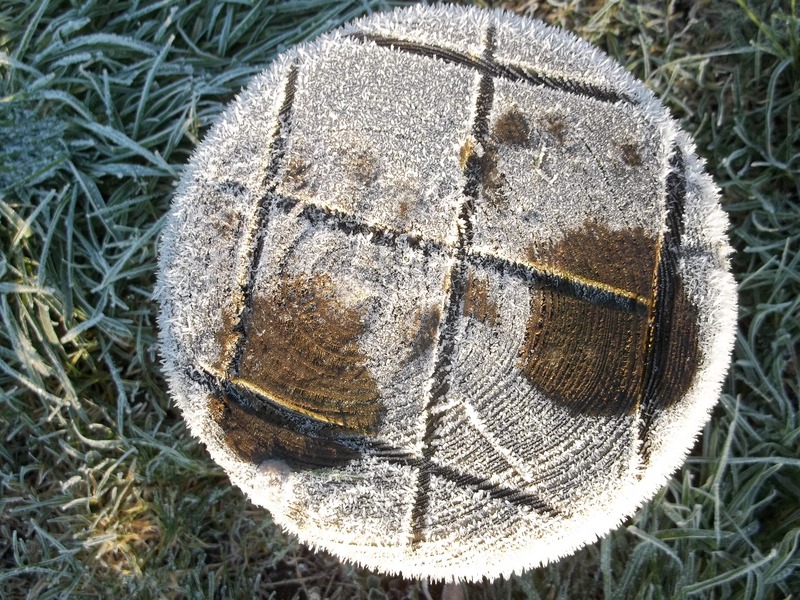 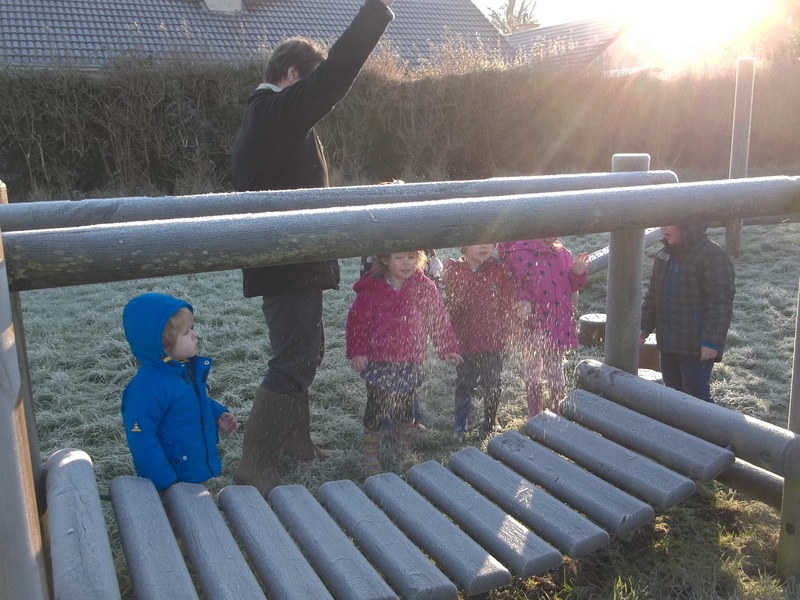 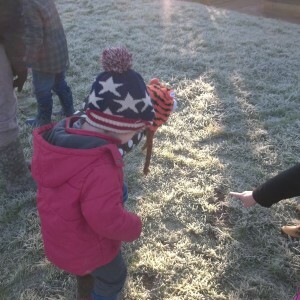 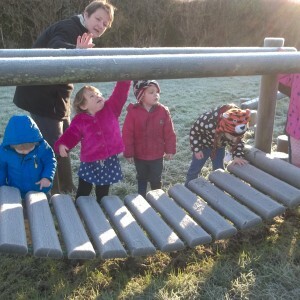 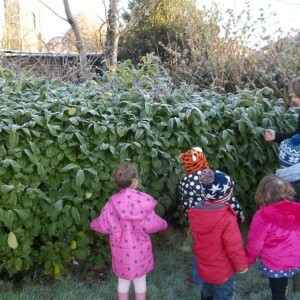 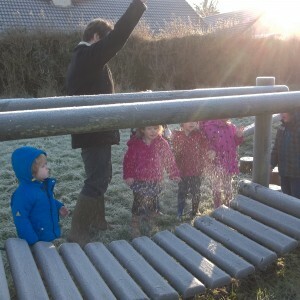 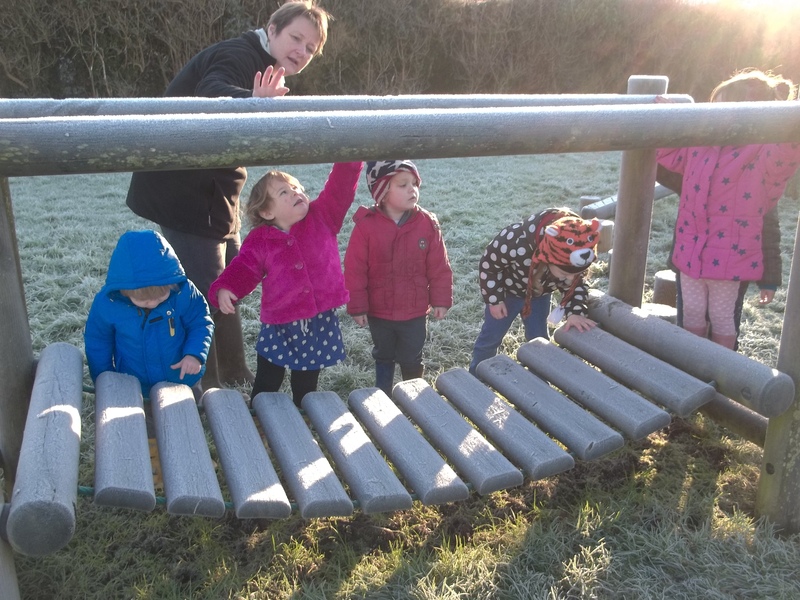 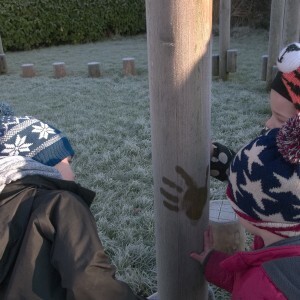 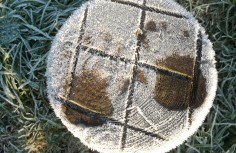 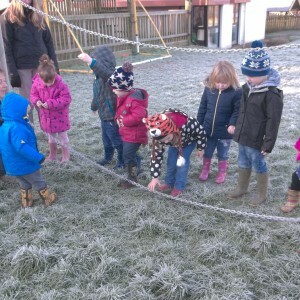 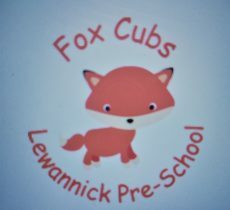 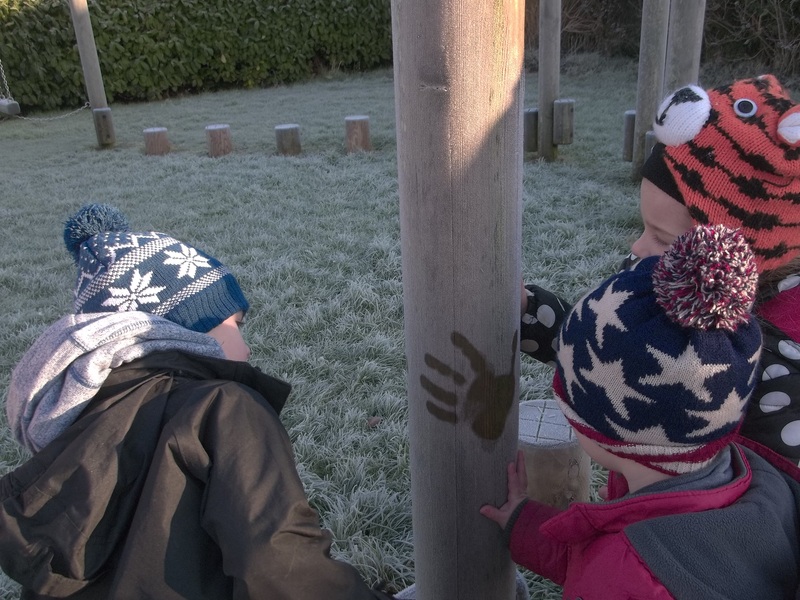 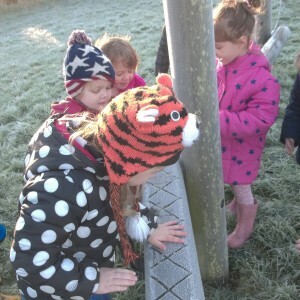 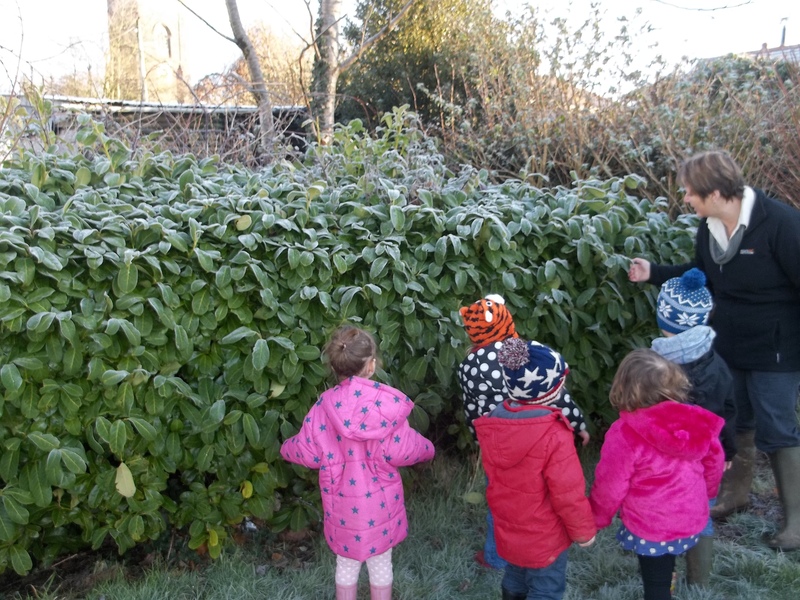 We went for a ‘Frosty Morning Walk’ today around the school grounds to see what we could find. 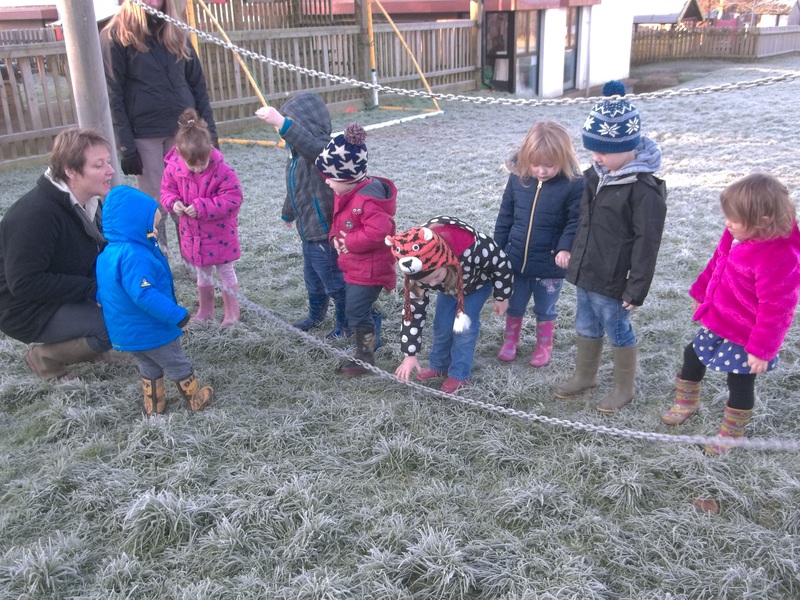 Everything was covered in frost and even the grass was white! 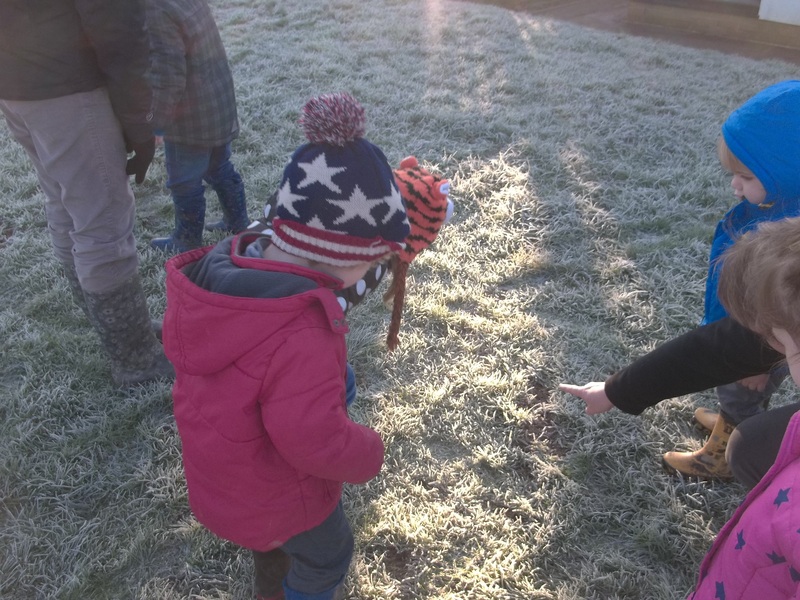 We put our hands on different things and watched the frost melting.